Shakespeare Country has so much to offer you will never want to leave! 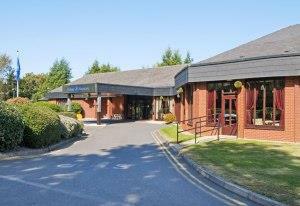 Why not make your visit a short break or stay for the week? Take time to really enjoy the beautiful quintessential English countryside and visit the birthplace of the worlds most famous play write, William Shakespeare. Whether you are travelling alone, as a couple or as a family the area has lots for you to see and do. What better place to spend an afternoon than by the River Avon with a picnic or taking a boat trip to see the river from a different point of view. Shakespeare Country has a huge offering of hotels, B&Bs, Guest Houses, Self Catering accommodation and Camping sites so you are sure to find your ideal base for exploring. "How sweet the moonlight sleeps upon this bank!" There is a full range of bookable accommodation in and around Shakespeare Country which means you can find your ideal property in the ideal location for you. We work directly with hotels, guest houses, cottage owners, campsites and hostels to bring you the best holiday deals in Shakespeare Country. Browse all our accommodation by just clicking on a type of property you wish to stay at below and book your perfect holiday! Not sure which property best suits your needs? Why not browse our full list to give you some inspiration? 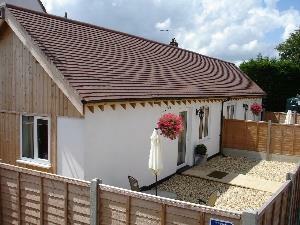 Find a home from home in a Self Catering cottage or apartment. Perfect for using as a base for exploring! Get back to nature with camping and touring sites. The kids will love the adventure of sleeping under the stars! Guest Houses are an inexpensive way to visit the area and are great for sole travellers, couples and families alike. Booking last minute? Why not check out properties with late availability, book and go! Want a little luxury? Book one our hotels where you can be pampered after a hard day visiting the sights. Breakfast is the most important meal of the day and with our selection of B&Bs, it can be the most enjoyable. If you are planning your visit with the children then why not check out properties which offer family friendly accommodation? Does your pet deserve a break away too? Check out our range of pet-friendly accommodation and take them with you to explore the area. Just want a quick break away? Why not book a short break. You can find lots of things to do or simply relax and take in the culture. 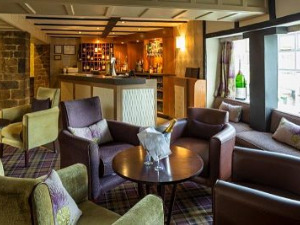 This charming hotel is situated in the centre of the picturesque thatched village of Wroxton. 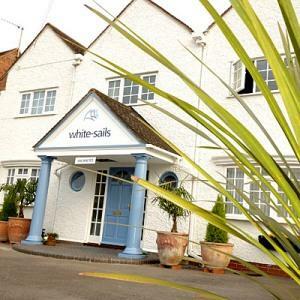 Ideal for touring, being located between Stratford-upon-Avon and Oxford and on the doorstep of The Cotswolds, close to Warwick Castle. 16th Century Inn ideal for Bicester Village Designer Outlet (24mins/12miles), Oxford (32mins/18miles) & Blenheim Palace (19mins/12miles). In the Market Place of Deddington with 27 en-suite Bedrooms, Bar, Restaurant & Meeting/Function Rooms. Free Parking. Free Breakfast, Free Internet. Close to major motorways & major cities. This luxury duplex apartment comprises entrance hall, fitted kitchen with appliances, bathroom with separate shower cubicle, double bedroom, stairs leading to the large open plan lounge/dining area. Situated In the heart of Coventry award winning development Priory Place. There are one, two and three bedroom apartments located in the centre with great transport links, entertainments and conveniences all within easy reach. Macdonald Ansty Hall is a grade II listed Georgian Mansion dating back to 1678. Set in eight acres of grounds, within the rolling Warwickshire countryside. 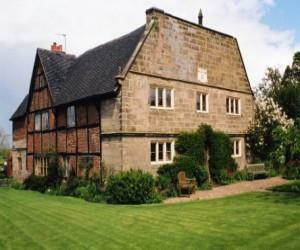 An ideal rural location to explore Shakespeare Country and attractions. A new build modern three storey detached town house well located for access to city centre and transport links.